Visvesvaraya Technological University (VTU) successfully conducted B.E/B.Tech 5th & 6th sem examinations in the month of June/ July 2017. A huge number of candidates who are studying the same appeared for the exam. Candidates who had written the exam are eagerly waiting for the results. Now, the wait is over. 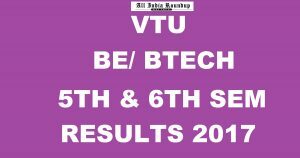 VTU declared BE/ BTech 5th & 6th Sem June/ July Results 2017. Candidates can check the results from the direct link provided below. Visvesvaraya Technological University (VTU) is a collegiate public state university in Karnataka State, India. It was established on 1 April 1998 by the Government of Karnataka. The university encompasses technical and management fields which offer a total of 30 undergraduate and 71 postgraduate courses. It conducts semester examinations every year for all the courses. Similarly, this year it has conducted the 1st & 2nd sem exams and the candidates who had appeared for the exam can check the results from the official website. VTU declared Vth & VIth Sem Results June/ July 2017 today. Candidates who had appeared for the exam can check the results from the direct link provided below. Aspirants who had not satisfied with the results can apply for revaluation. 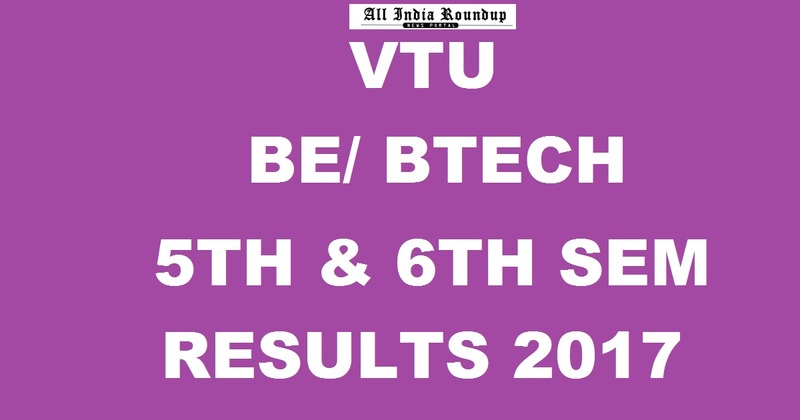 In the latest update, VTU has published results of both eighth and seventh Semester non-CBCS Bachelor of Engineer (BE) and Bachelor of Technology (BTech) of all the streams and regions. VTU had recently published the results of first and second semester June and July exams of both BE and BTech steams of CBCS and non-CBCS candidates. Students who have appeared for these examinations in June and July months this year in all these streams may check their results on the official website of Visvesvaraya Technological University (VTU).